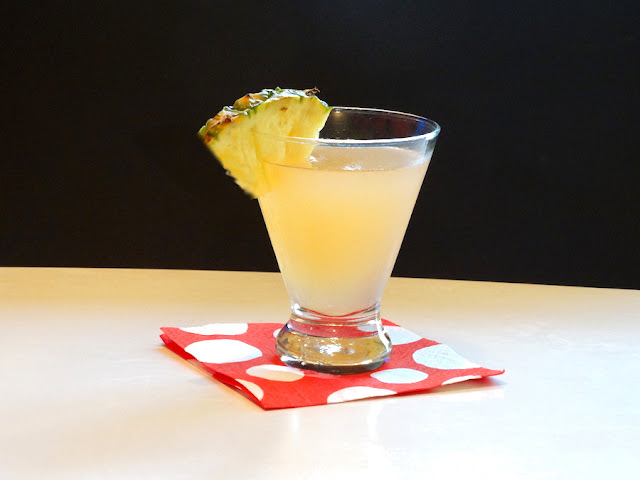 a good luck charm of a cocktail like this! 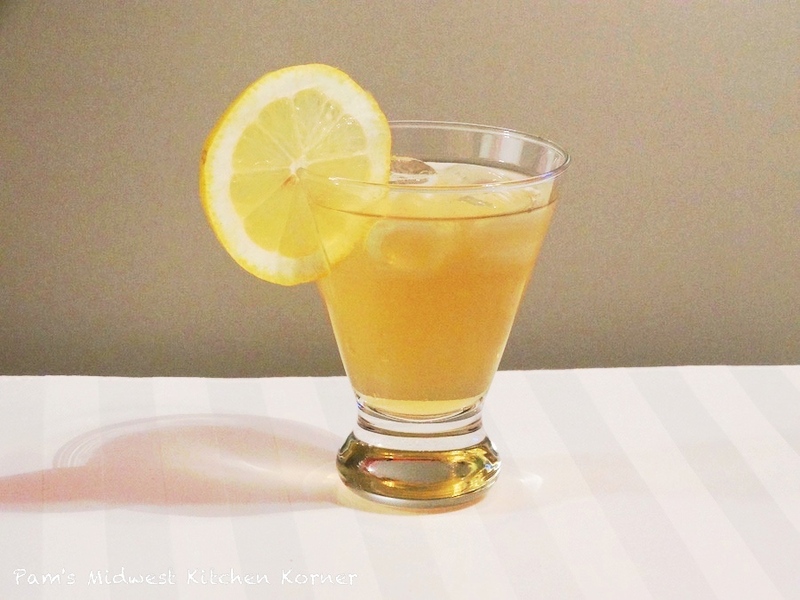 Master Mixologist, Bobby G. Gleason, created this cocktail and I applauded the combination of Jim Beam and lemon from the first sip. 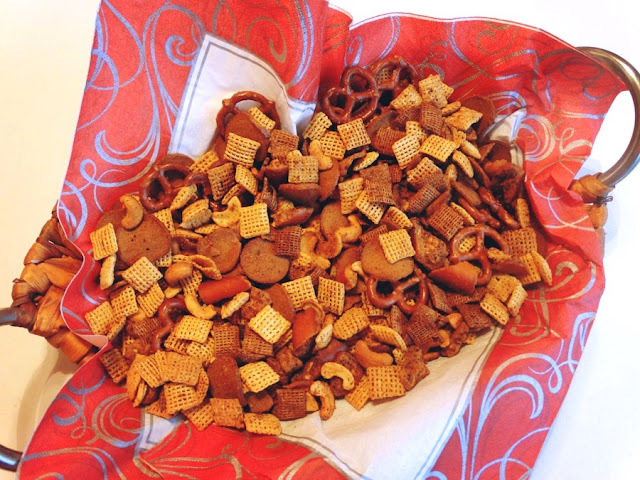 This is not your run of the mill Chex mix recipe off the back of the box, this is my recipe, a spicier version! Way back in the early 1950’s, Ralston Purina wanted a way to get people to eat a lot more of its cereal. That’s when the classic recipe for the famous snack mix was printed on the back of Wheat Chex and Rice Chex boxes. 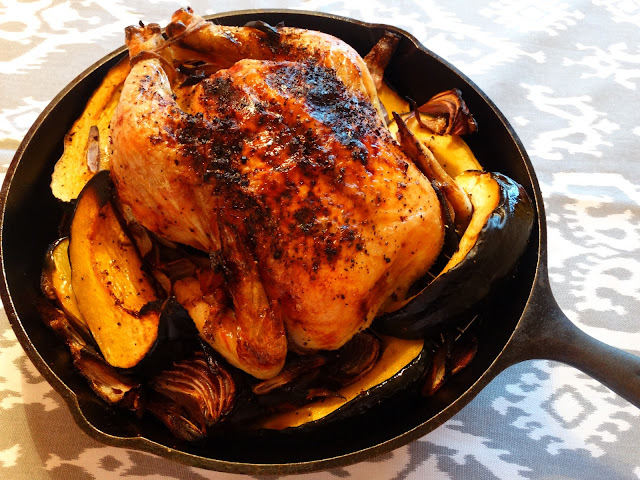 The recipe included Worcestershire sauce, butter, garlic salt, salt and nuts baked in an oven. 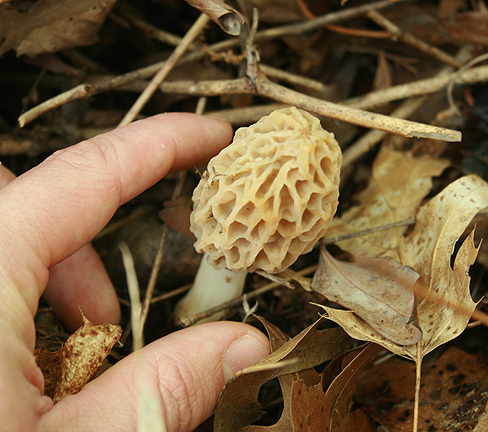 No mushroom foraging for me ~ that’s a practice that could kill a person if a mistake was made! The grocery store is my mushroom source. 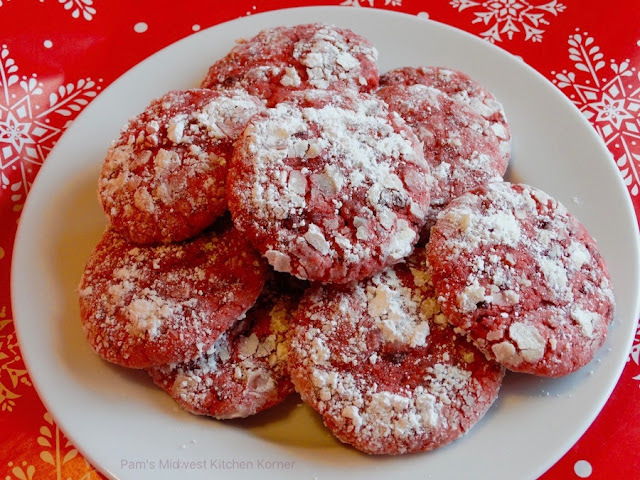 These cookies are bursting with bits of cherries and chocolate ~ these are the ultimate Christmas cookie to me, and most likely Bubba too! 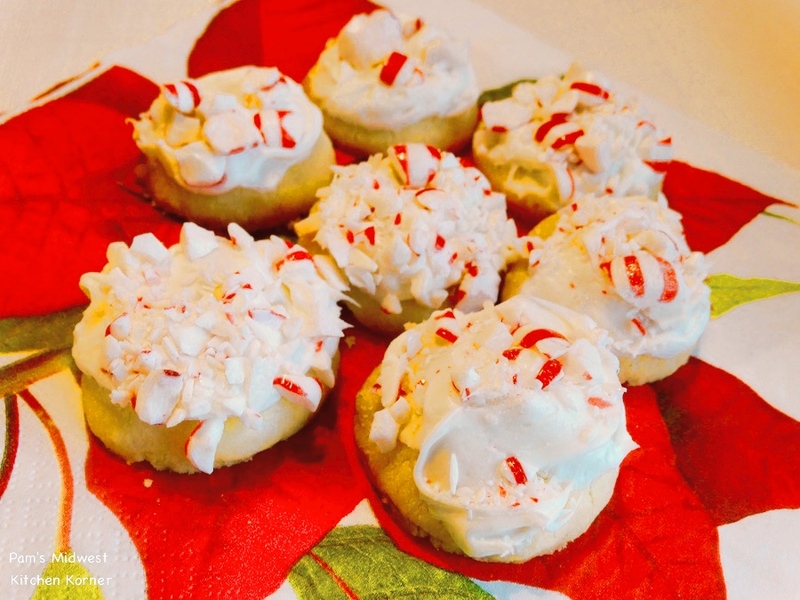 I've always been a fan of peppermint, the aroma of it and the sweet taste, as in these wonderful cookies! ’Tis the season, bags of flour, sticks of butter and jars of spices on the counters, with cookie tins ready to be packed. Every year at this time, I make a plethora of Christmas cookies ~ last year the tally was 51 dozen. Cookies for my family, and cookies to share with neighbors, friends, and more. 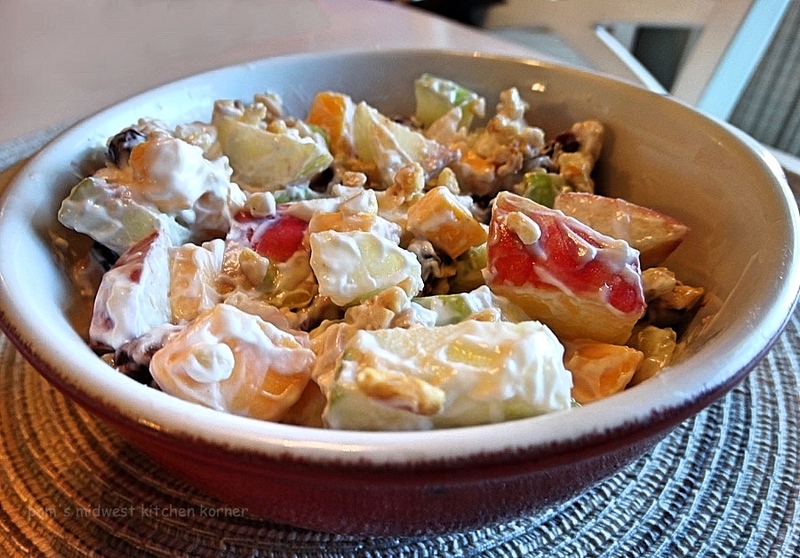 I've always liked Waldorf salad, and then I came across this recipe. Fresh chopped apples, dried cherries, cubes of cheddar cheese, and a sprinkling of nuts, all folded in a tangy sour cream sauce. I’ve posted this before and I'll say it again: “I would be run out of town if I didn’t serve this for Thanksgiving dinner." Mom always made this dish at holiday time, for as long as I can remember ~ it's tradition and remains a favorite when I make it now. If you love oysters, this is for you: layers of a couple of pints of oysters with the liquor, Club crackers, lots of butter, half and half, salt and pepper, baked till bubbly and browned. Hello, crispy chicken with roasted vegetables and smokey bacon! Here's a one-pan meal that’s bursting with flavor! Pork tenderloin is great ~ it's healthfully lean and reasonably priced at our local Jewel grocery store, making it affordable for a meal any day, and it's hard to mess up. And here I am ~ still at it, 9 years later! 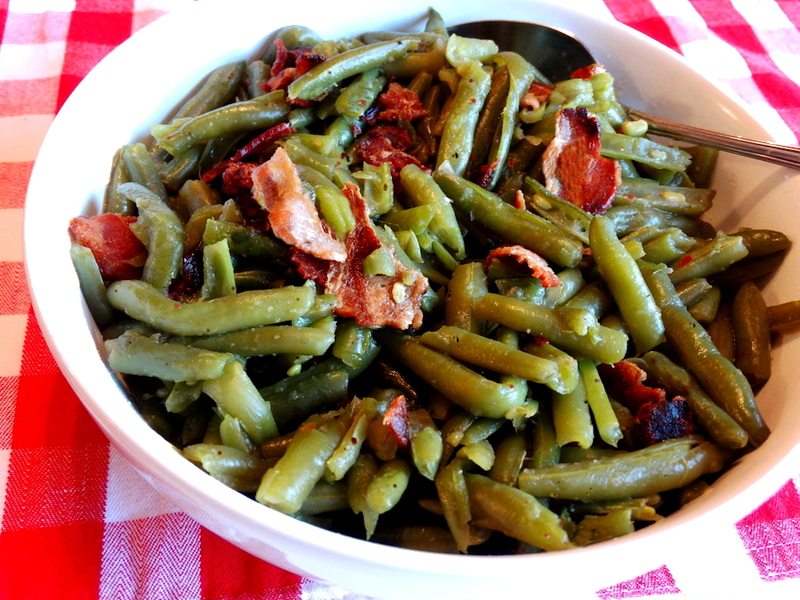 I grew up in Louisville ~ I learned to cook fresh green beans the Southern way ~ slow-cooked to death, usually with bacon drippings, a ham hock or bacon like this recipe. We all know the saying, “bacon makes everything better!” Pour a little chicken broth in with the seasonings, for a perfect side dish. This is good and crunchy fish, minus all the fat. Bubba just vacationed in London recently and almost had his fill of fish and chips ~ he loved the meal! Traditionally, fish and chips are served wrapped in paper to soak up all the grease, probably not a good thing. 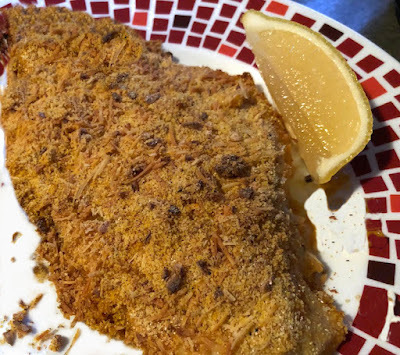 Back at home now, to cut the grease and calories, Bubba coats the cod in a corn meal and Parmesan breading and bakes it. In his cooking, he goes heavy on the spices and seasonings, adjust to your taste. 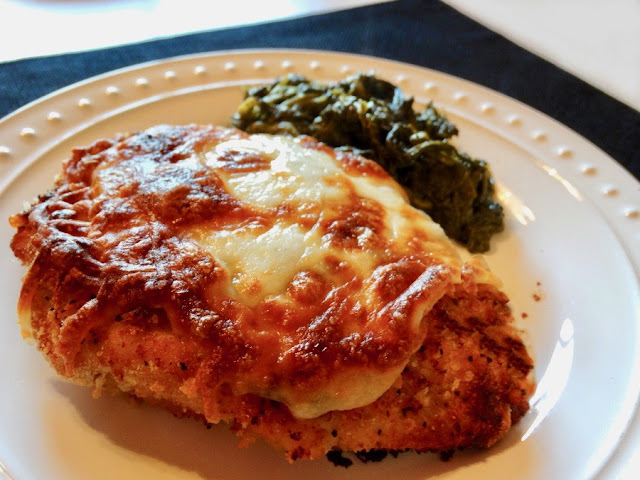 I love the Italian-American classic, Chicken Parmesan ~ breaded, then fried and smothered in mozzarella cheese and served alongside a plate of pasta. This recipe is sort of like it, just lightened-up. I love Hawaii, I love everything about it! Ok, so I know I said I was done with my blog, but evidently it was something I truly looked forward to doing, and apparently just needed a little break from it to recharge ~ after doing it for almost 9 years ~ I missed the whole process. In other words, I missed being a part of the community. It has been almost 9 years, since October 2009, that I started this blog. That's a lot of posts and I've reached the point where it has become a chore for me, so it's time to say so long. 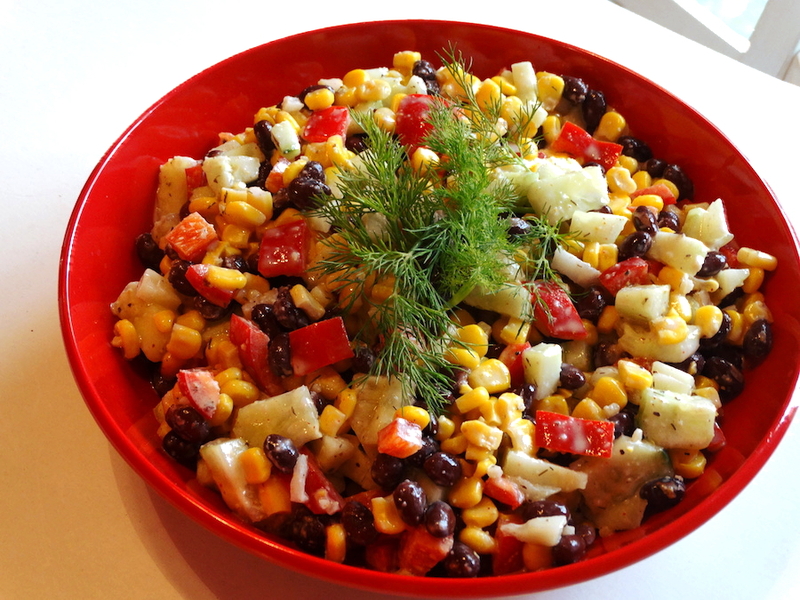 It’s looks like fiesta time when you serve this spicy corn salad for your crowd! Bill Jr., (Bubba here) just returned from vacationing in the United Kingdom and had more than one meal of fish and chips in England. In his words, the fish was the best, "Awesome! 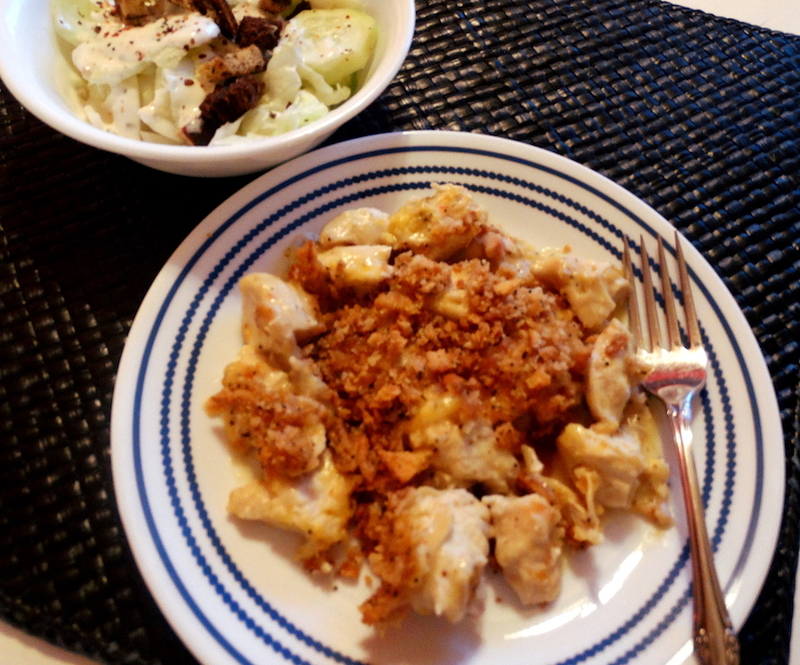 Crunchy, tender and tasty." The Brits choice of fish is cod and haddock, with him liking haddock more. I'd be the first to order fish and chips at a pub anywhere, but we all know that at home it can turn into a "grease-feast!" That is, unless it's made in an air fryer! 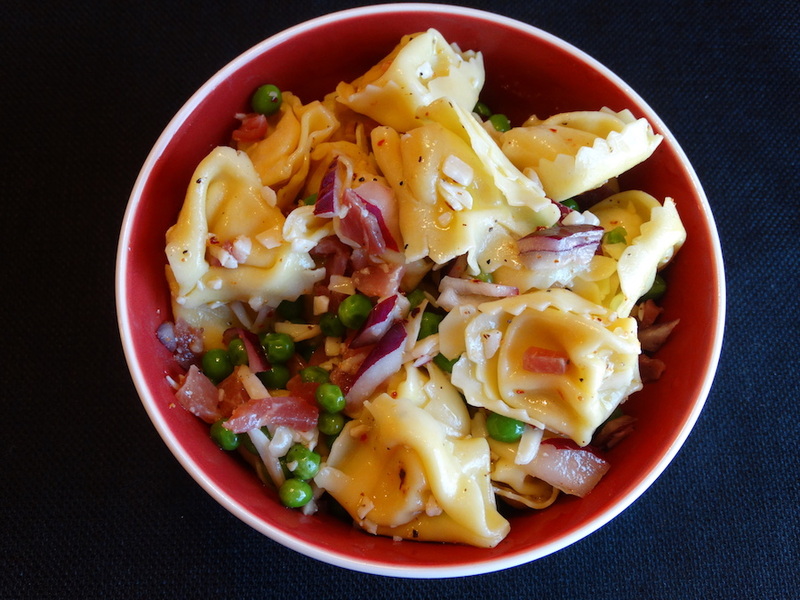 Tortellini was a new food to me when we moved here to the Chicago area years ago ~ it was absolutely love at first bite! Eating two or three servings a week of salmon is a good way to improve your health, with it being a healthy tasty alternative to chicken, beef and pork. It’s rich in Omega-3 fatty acids and protein. Plus providing iron, niacin, zinc, Vitamins B6 and B12, and a whole host of other ingredients essential for good health. So that means air fryer ~ here's another meat that is great when cooked in the air fryer! 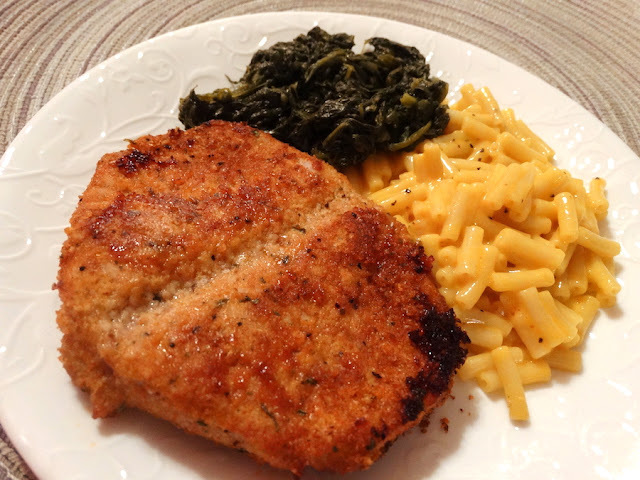 Pork chops make for a tasty family meal with easy clean-up when made in the air fryer. I've said it before how much I like this small appliance. FYI: Don't be eating your chicken with a fork in Gainesville, Georgia, the 'Chicken Capital of the World', it's against the law. And by the way, Honest Abe was an honest-to-goodness foodie. * He even did his own grocery shopping! Abe could eat four score and seven corn cakes; and, speaking of chicken, chicken fricassee was one of the only two dishes the Lincolns were known to have eaten at dinner in the 1850's, the other was corned beef. 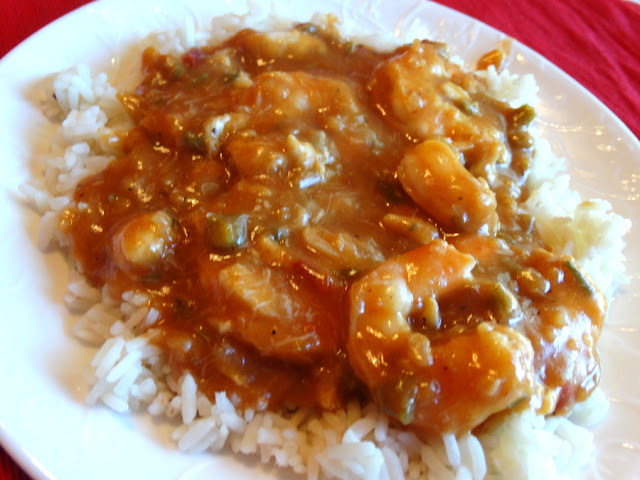 Cajun Shrimp and Crabmeat Étouffée, a Taste of NOLA! 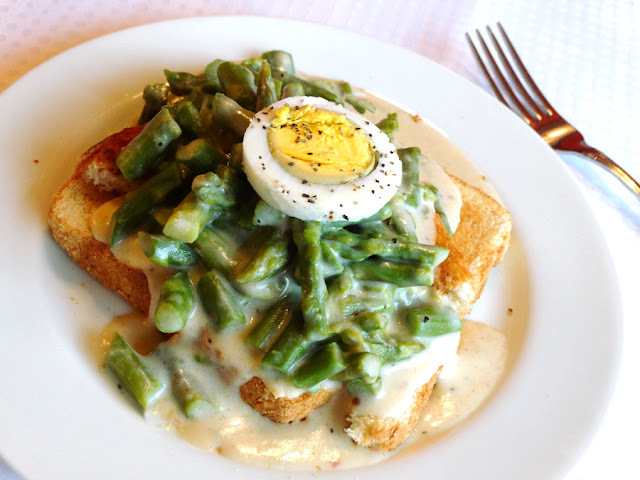 French for “smothered,” étouffee (ay-too-fay) is one of the tastiest dishes of Southern Louisiana cuisine. It's a classic New Orleans dish that sounds fancy, and one that you should try if you haven't. 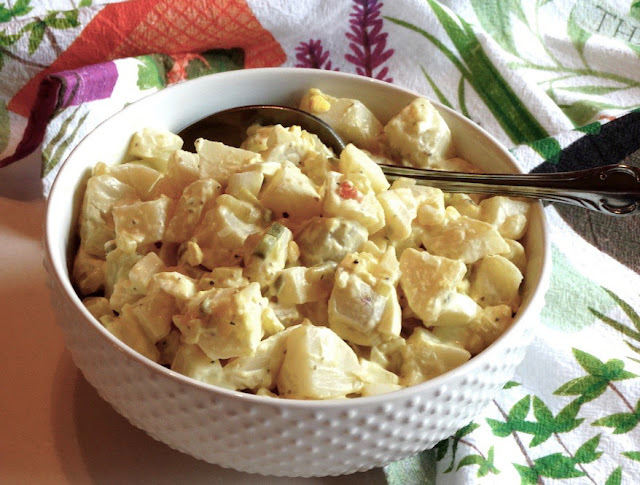 Trisha's Potato Salad - Simply the Best! when it comes to recipes! When I'm not pressed for time, I like to try more complicated recipes containing a wide variety of ingredients ~ and, I especially like it when they turn out good and delicious. But, we're definitely not into nouvelle cuisine here. It makes me think of Julia Child's quote, "If it's beautifully arranged on the plate ~ you know someone's fingers have been all over it." It always looks like a still-life painting to me and is too pretty to consume. That's why I wanted to try Trisha Yearwood's potato salad recipe. It's basic down-home goodness! Apples and cinnamon, oh my! 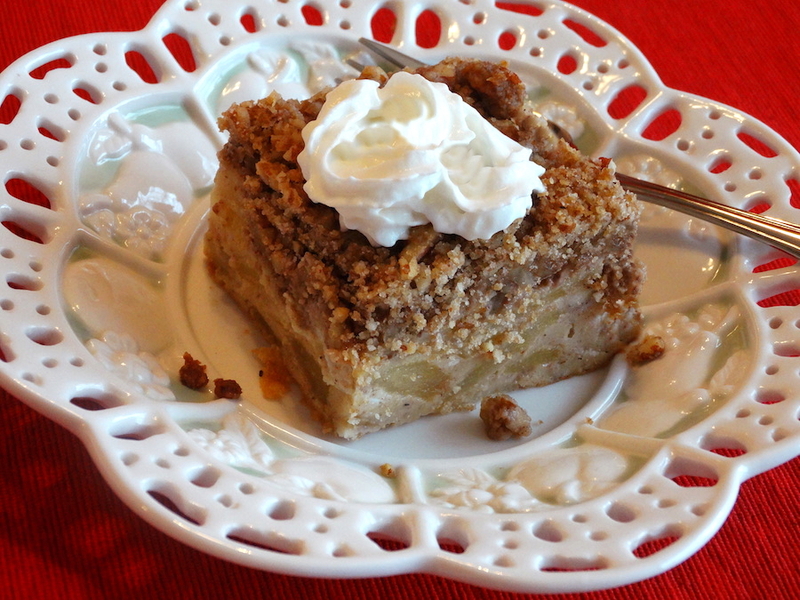 This is a really close cousin to Dutch apple pie, actually maybe more like a crisp, and there’s no crust to roll out! French apple dessert has a buttery crust, and is packed with apples, cinnamon and nutmeg. 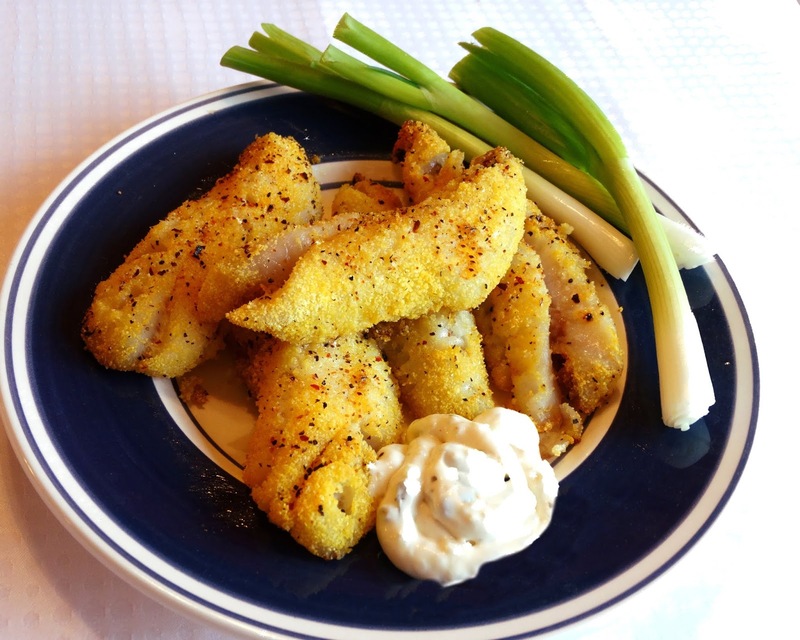 It was love at first bite when I started cooking with my air fryer about a year ago, and it continues to amaze me how easy it is to operate and how delicious and crisp the food is. I’ve made a variety of foods in it from a whole chicken to vegetables to frozen french fries. Food cooks faster in it, browns better and crisps up on the outside perfectly. This time I air fried catfish. 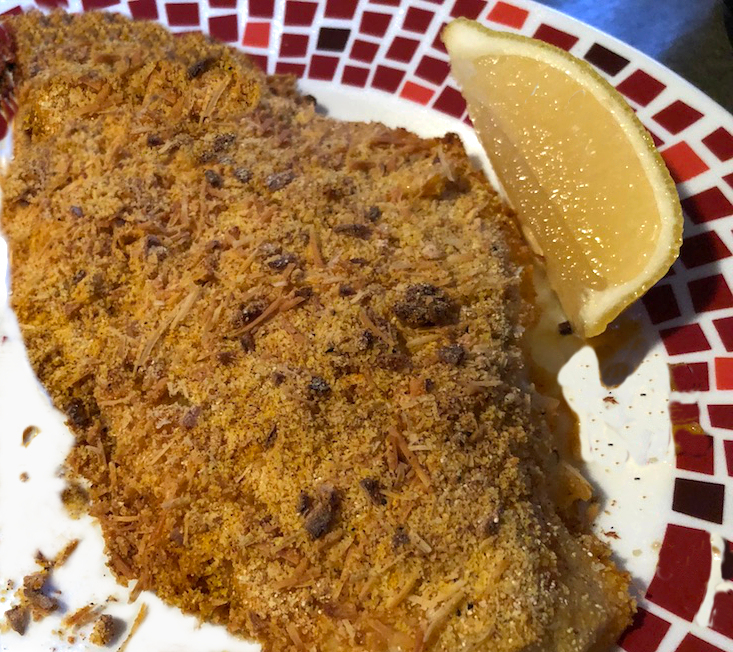 Panko, the light and crispy Japanese bread crumbs, is one of the secrets to creating crispy catfish in the air fryer. 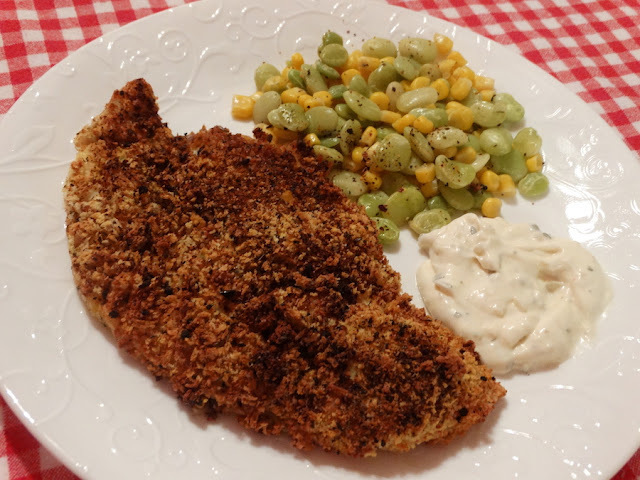 I have also used cornmeal instead of Panko and the results are just as delicious and crispy. Substitute your favorite herbs and spices for the seafood seasoning to vary the fish. 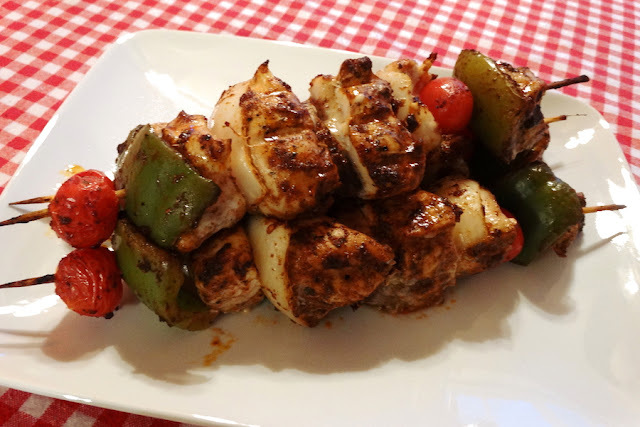 Because of the above, it's not grilling season here yet, so our chicken kabobs came from the oven. Whatever, it's that time of year ~ Springtime! ~ and asparagus is popping up all over, especially at the grocery store! Most of the time, Bill and I like it steamed with a little salt and pepper, nothing more or roasted. Then other times, that all takes a back seat to my creamed asparagus. 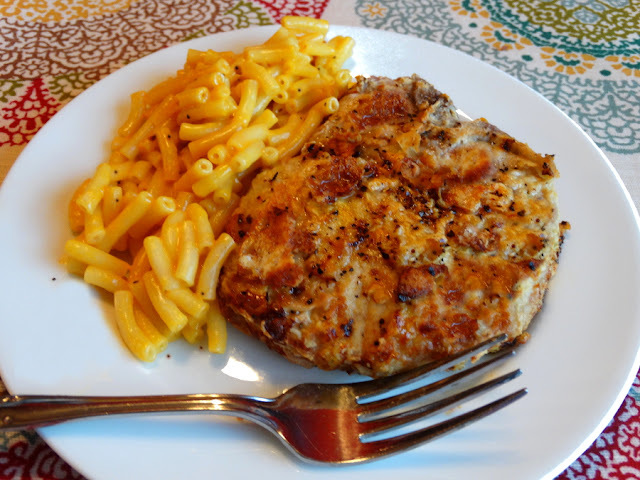 This recipe takes pork chops to a whole new level! 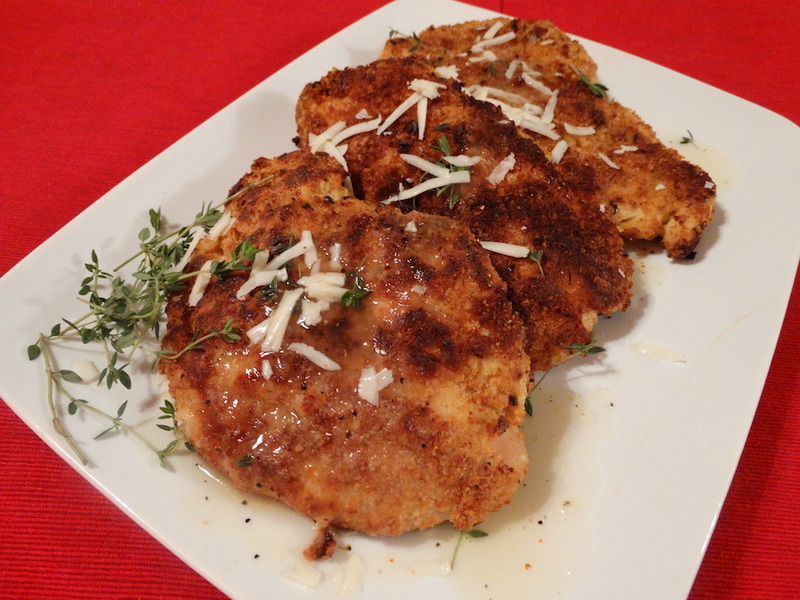 The crispy Parmesan crust makes these pork chops tender, juicy ~ you’d never know they’re baked, not fried! 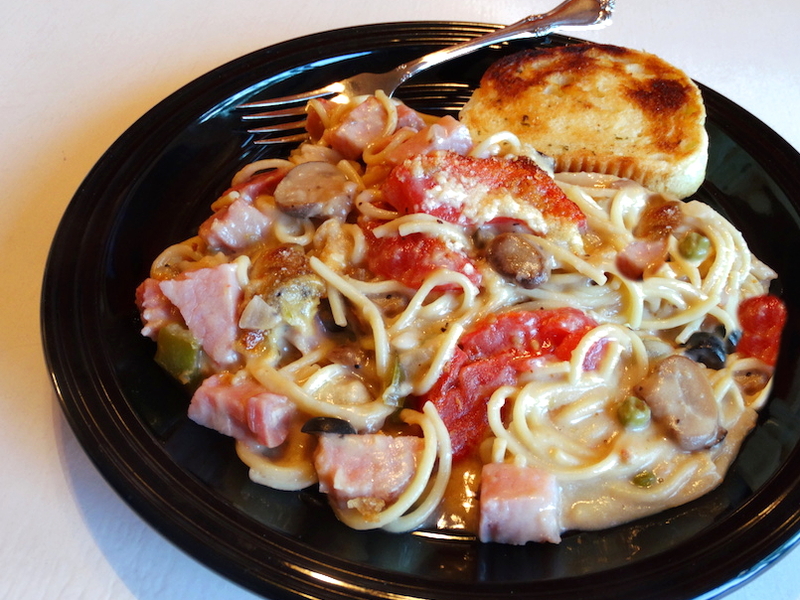 Turn Your Easter Ham into a Lighter Ham Tetrazzini! When Easter's over, wow those around your dinner table with this tasty ham dish! I’ve made Turkey Tetrazzini from time to time, but this slightly adapted recipe from Cooking Light, replacing turkey with ham, caught my eye. It’s filled with the same great tetrazzini flavors and is easy to make also, however, it’s that touch of horseradish that takes it up a notch! Speaking of muffins ~ remember the Seinfeld episode, “The Muffin Tops?" The history of the "piccata" dish is a bit confusing, but many believe it to be of American design, most likely by Italian-American immigrants during the 1930's. 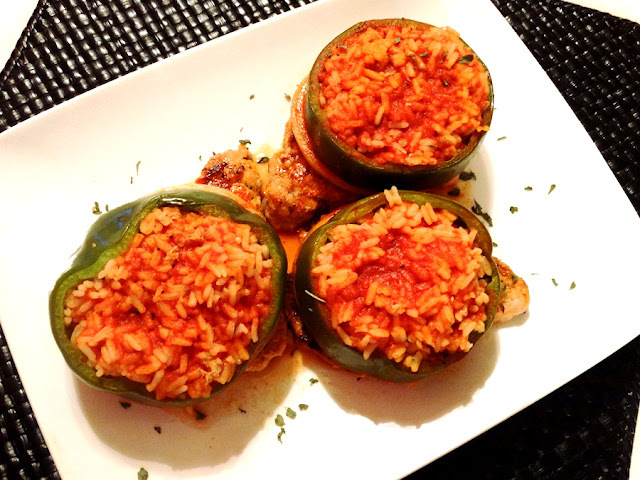 Piccatas today are generally made with veal, but here in the U.S., chicken prevails. Chicken never tasted quite so good! This dish is comforting, delicious, rich and buttery with tender bites of chicken ~ a recipe that’s in about any community or church cookbook, and surprisingly, there are a minimum of variations from one recipe to the next. Chicken Fajitas, About the Easiest You Will Ever Make! 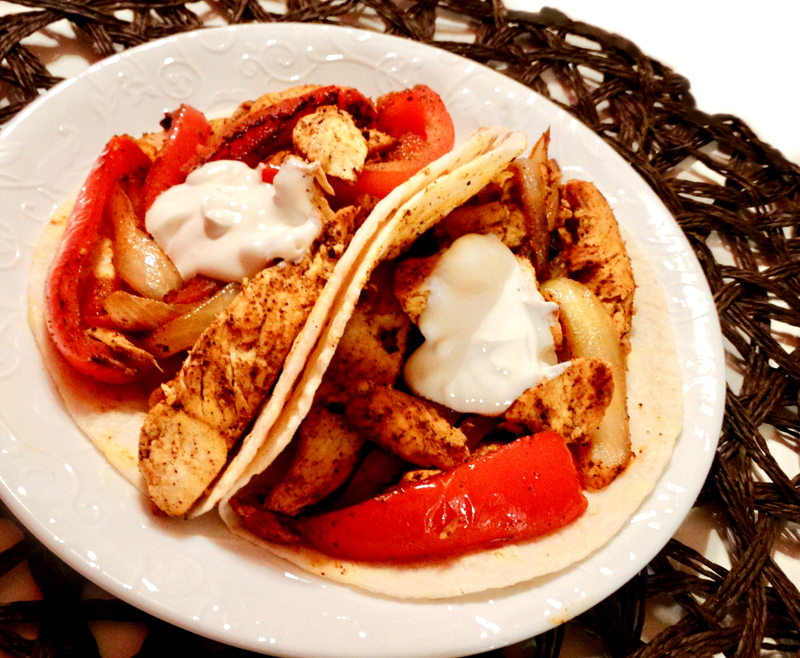 They are so good and super simple to make, thanks to Perdue Short Cuts, Grilled Fajita-style Chicken! The Empress of Soul, Gladys Knight, sings with her heart and soul, and it seems she cooks the same way, judging by this recipe! If you haven’t watched "Harry," the TV show that's a blend of talk, music, comedy, and variety, starring Harry Connick, Jr., you’re in for an entertaining hour. There isn’t much this guy who was born and raised in New Orleans can’t do! Rich Creamy Chocolate for Your Valentine! Caution: Bill says this could be fatal! Chocolate is a major food group to just about everyone ~ but not me ~ I definitely wouldn’t go out of my way for it. I do have a sweet tooth though, it’s just not for chocolate like it is for my family members and friends. So when the most chocolate-covered day of the year, Valentine’s Day, rolls around again ~ that day when everything seems to be slathered in chocolate ~ it’s the perfect time to make a delicious dessert. Chocolate is everywhere, it’s universally loved. Apparently, according to research done by Dr. David Lewis, letting chocolate dissolve slowly in your mouth produces as big an increase in heart rate and brain activity as a passionate kiss ~ except that the effects of the chocolate lasts four times longer. Therefore, truly, chocolate must be the food of love. 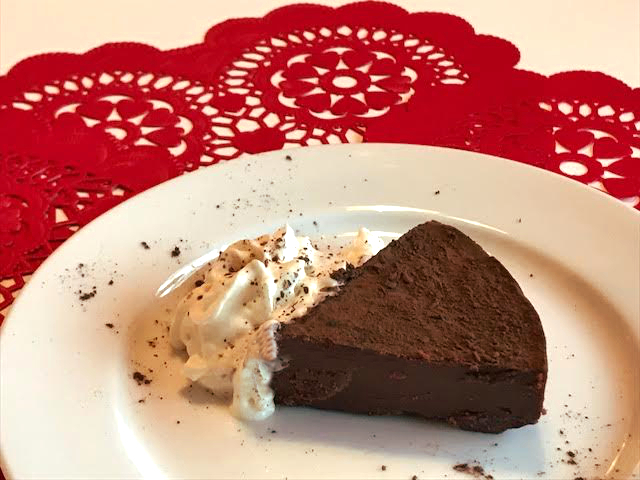 If you’re looking for a creamy, very rich chocolate treat for your Valentine, this Chocolate Pudding Cake by exclusive French pastry chef, François Payard, who launched several eponymous patisseries in New York City, is for you! The creation is not exactly quick to make, it takes a good bit of freezer time, 6 hours at least, but it’s worth the effort to make for your Valentine! Believe me, this is a decadent dessert, so I’m told ~ smooth, creamy, rich, particularly luscious and velvety, a sinfully delicious chocolate treat! Just a sliver will do it! 1. 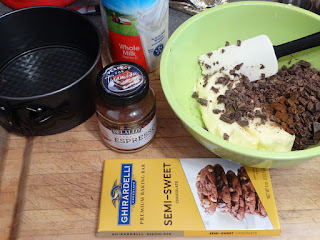 Place the chocolate, espresso powder and butter in a medium bowl and set aside. 2. Combine the milk and all but 1 tbsp. of the sugar in a small saucepan. Heat over medium heat, stirring constantly until the sugar is completely dissolved. Stop stirring and cook until the milk begins to bubble around the edge of the pan. Remove from heat. 3. Whisk together the egg yolk and the remaining 1 tbsp. sugar in a small bowl. Pour half of the hot milk over the yolk mixture, whisking to combine. 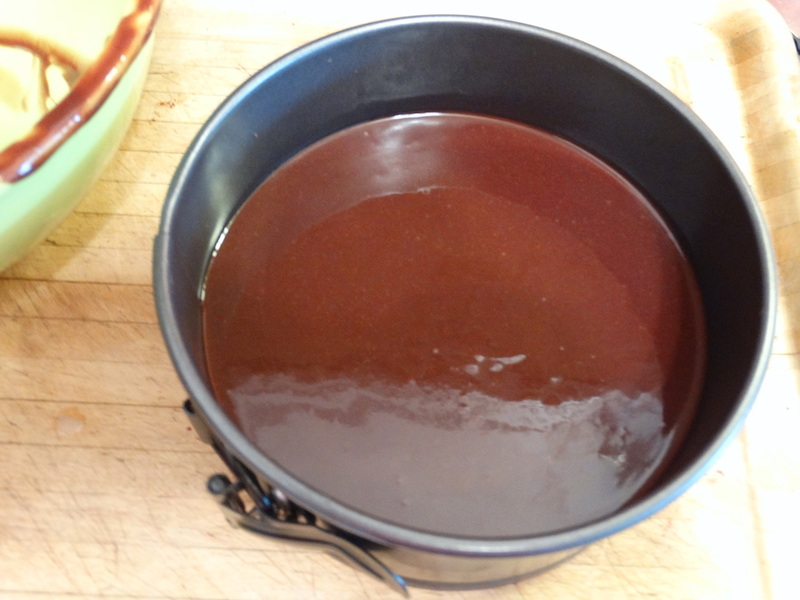 Return the mixture to the saucepan, and cook, whisking constantly, until the mixture thickens slightly and just begins to bubble around the edges (reaching 183° on an instant-read thermometer). 4. Immediately pour the mixture over the chocolate and butter. 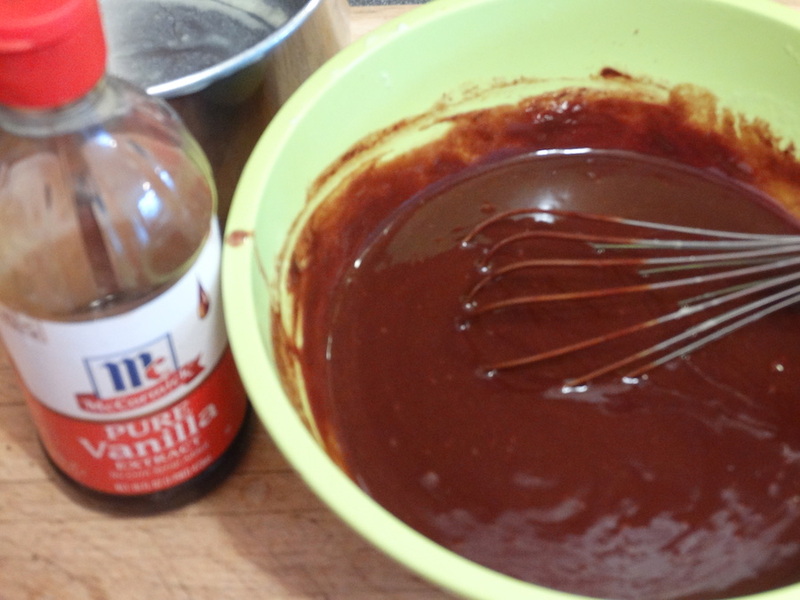 Whisk until the chocolate is melted. Whisk in the vanilla. 5. Scrape the batter into a 6-in. round springform pan, and smooth the top with a rubber spatula. Cover with plastic wrap, and place in the freezer for at least 6 hours or overnight. 6. Remove cake from freezer, and let sit for 10 minutes before unmolding. 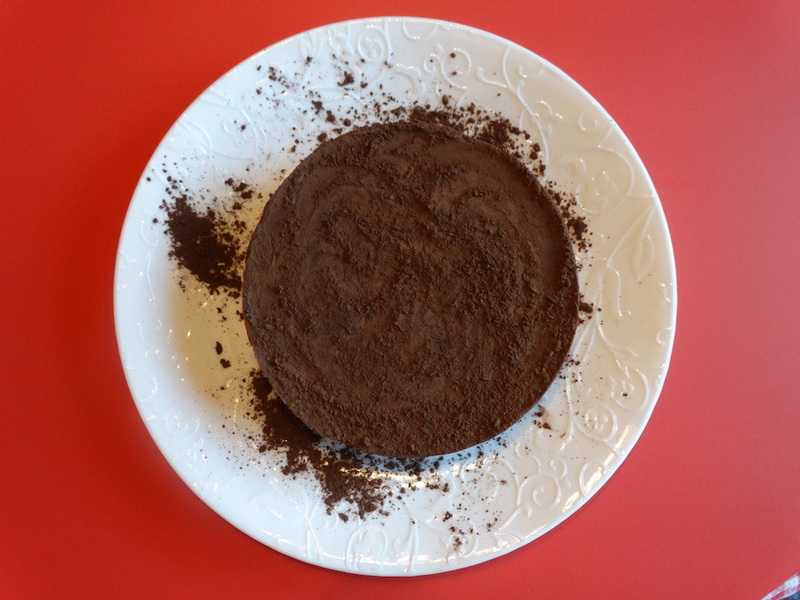 Invert the cake onto a serving platter, and lightly dust the top with cocoa powder. Allow the cake to stand at room temperature for 45 minutes before serving. 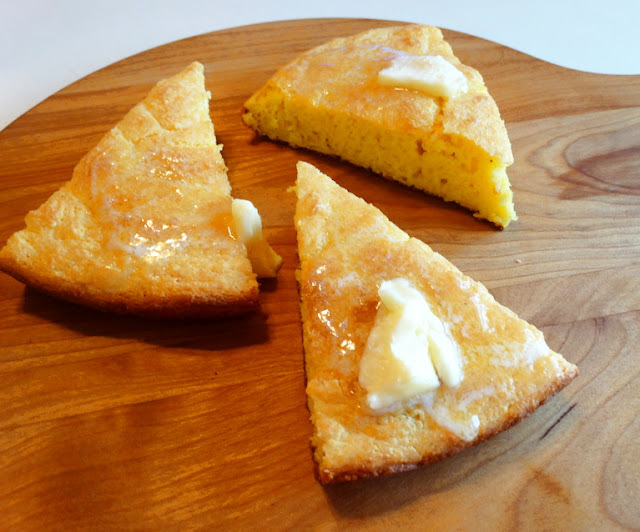 *This is the slightly adapted recipe of Chef Payard's. 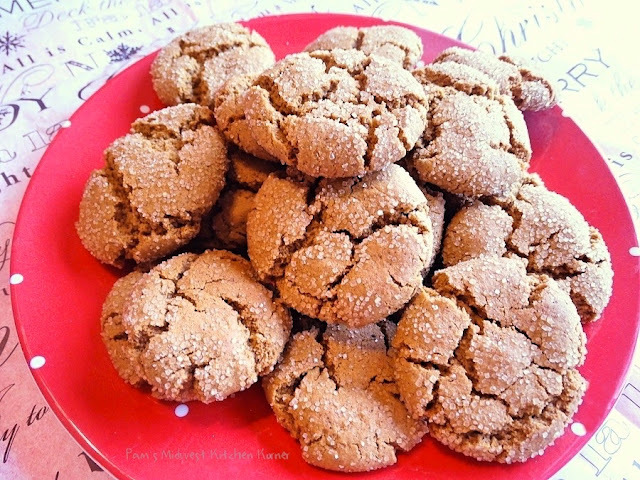 I added espresso powder for a darker richer flavor. It doesn't taste like coffee, it just enhances the chocolate flavor. 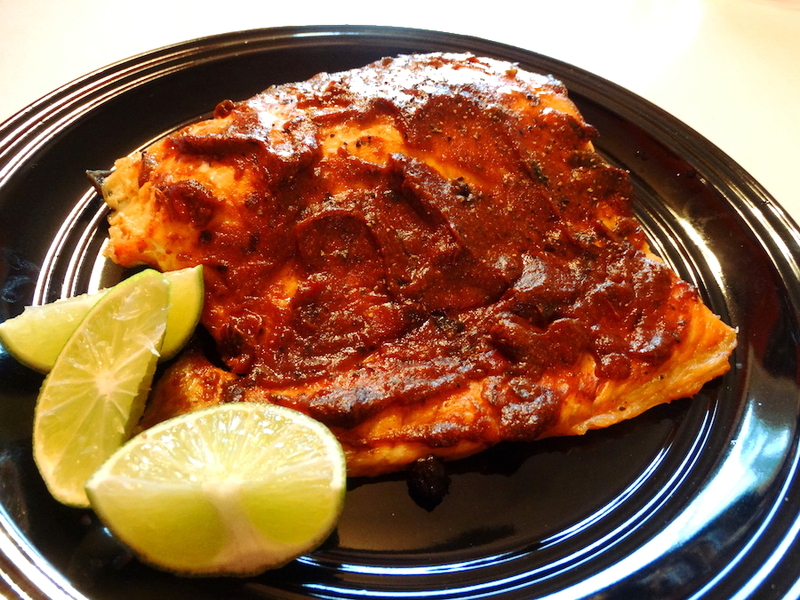 The Best Salmon I Have Ever Baked! 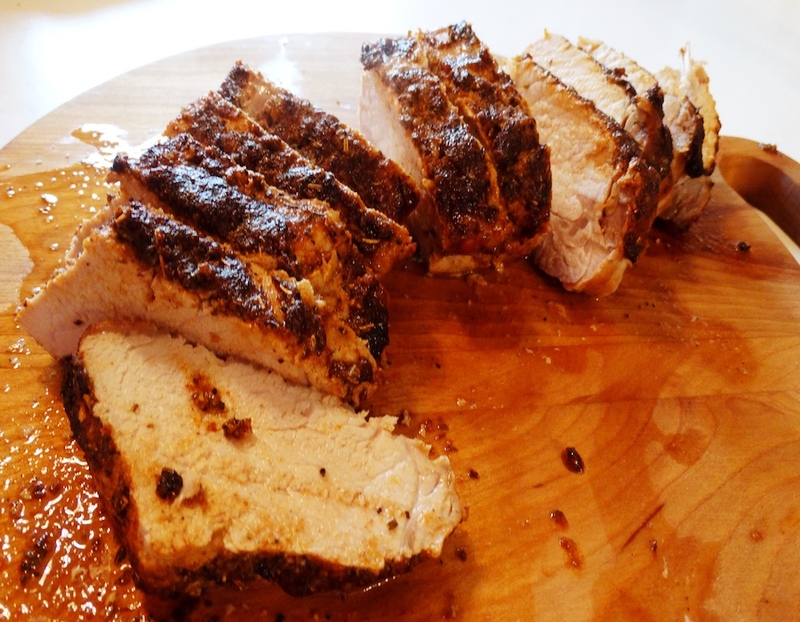 Slow Cooker Pork Loin with Gravy!